The English National Ballet press office have asked me to highlight a specal offer to see Angelina Ballerina's Big Audition. book now* or call 0845 230 9769. Watch Angelina perform the Dance of the Sugar Plum Fairy at her audition for the prestigious Camembert Academy where she meets new friends who can hip-hop, flamenco and disco dance! Angelina is not only nervous about her audition but leaving her friends Alice and Henry in Miss Lily's ballet class. 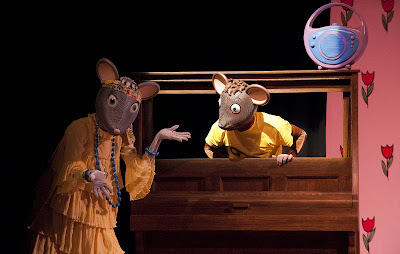 Cheer her on at London's fantastic undercover theatre in Holland Park. that looks like it would be fun to go and see . wow great blog as usual . so enjoy reading your blog . Hii, thanks for the comment on my blog! I'm really glad you enjoyed reading my blog eventhough it's full of lots of ramble.. hehe. Did you used to watch angelina Ballerina as a child? I used to love that programme. You must be so proud of each and every one of the beautiful ballerina. Thanks for stopping by my blog. Glad you enjoyed it. I have not a clue about ballet. I'll be reading more of your posts to get educated. I do find it lovely. I bet that will be so cute! thanks for the comment on my blog! I'm really glad you enjoyed reading my blog eventhough it's full of lots of ramble. Oh! That looks absolutely adorable! I love the Angelina Ballerina books :) Used to read them to my cousin when she was little :) What a nice reminder... and thank you so much for dropping by my blog! I appreciate your visit! How fabulous. I took my daughters to see the Nutcracker every Christmas when they were young. 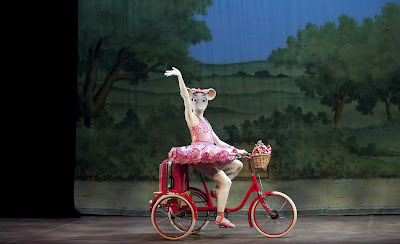 It was before Angelina Ballerina books, but this ballet looks so lovely. Hi Elisa! Thanks for stopping by my blog. I love yours as well!! That is amazing that you get to write about ballet for a living. Oh how I love all things dance! Angelina Ballerina was my favorite book series when I was little. I would love to see this if only I were across the pond! Thank you for stopping by my blog and leaving the sweet comment. Hope you stop by again soon. The pictures of the show look great! - I'll better go see her on stage. By the way - are you familiar with Inbal Pinto & Avshalom Pollak Dance Company? I just saw their "Oyster" – it was so great!